Information Technology (IT) enabled solutions for integrated urban water management are the key to realizing a significant reduction in water consumption, environmental emissions and costs, and an improvement of water quality and control of installations. Today, water management only addresses autonomous parts , leading to a highly segregated water sector. 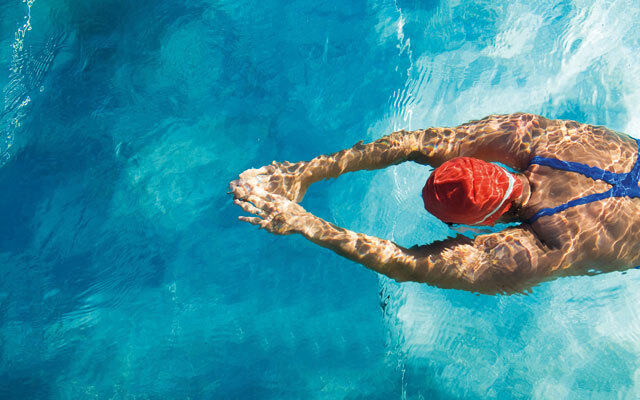 IT enabled solutions can solve the segregation that now hinders water organizations, technology providers and integrators to make the best use of new and available technologies to improve efficiency. They offer potential to embed real time forecasting, advanced monitoring, model based control and new approaches of active consumer involvement. The New Developments in IT & Water Congress is an international event that will include the depth and breadth of relevant IT solutions in every aspect of the water cycle, recognising that while IT solutions in water management are implemented locally, research and best practice are advanced through sharing results and knowledge globally. 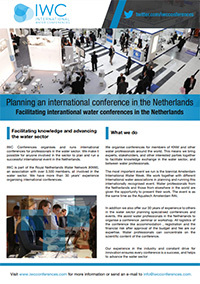 The first edition of the International conference “ New Developments in IT and Water ” in 2012 was a success. Over 170 participants from 26 different countries visit the conference. Please click here for a compilation. We are looking forward to meet you in 2015 in the Netherlands for the second edition of this high profile conference. Please click here for the companies and organizations who visited the first edition in 2012.